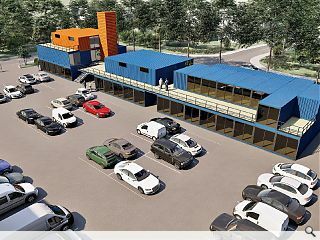 An industrial estate in Linlithgow is to reposition itself as a sustainable business village with the introduction of flexible office space in a series of repurposed shipping containers. Project Contempo is being backed by SRA Ventures to the tune of £5m, with the aim of transforming the Mill Road Industrial Estate into an eco-friendly address. One of several new incubator business parks planned around the UK it will provide space to aspiring small businesses seeking to establish themselves. SRA owner Shaf Rasul said: “#Projectcontempo is a unique, mixed-use commercial development of a type that we believe has never seen before in Scotland. We think it will inject fresh life into the estate while significantly reducing the carbon footprint of occupants. 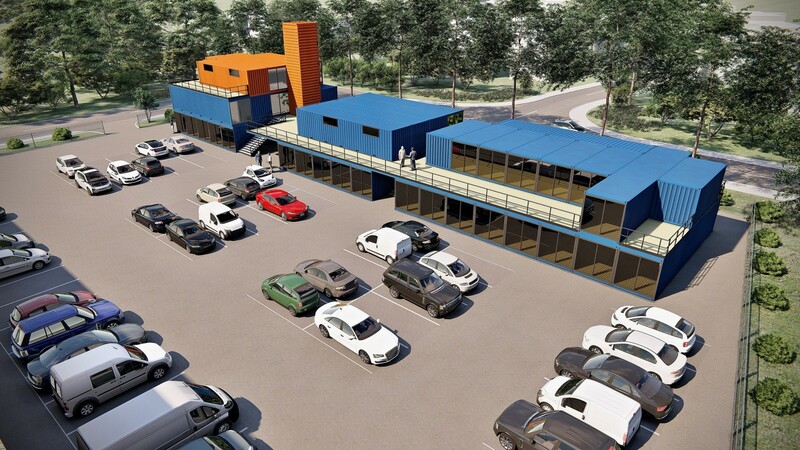 The retrofitted containers will include a mix of trade counters, a restaurant and café as well as a workshop and office space. Looks like a compound from the Walking Dead. I would love to know the U-values and the improvements to the envelope.